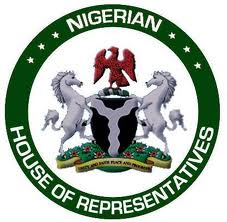 As part of efforts to ensure adequate security and stem the tide of kidnapping in the country, the House of Representatives has urged the Nigerian Communications Commission, NCC, to direct all telecommunications service providers to render ineffective all local calls made under the guise of hidden numbers. A member representing Lagos Island Federal Constituency II, Yakub Balogun, made this call while moving a motion on the floor of the House on the need to prevent unknown numbers from going through during local calls. He said the telecommunication operators could put a check to hidden numbers calls through activation of Caller Line Identification System. According to him, cases of hidden number calls used by people to perpetrate all manner of atrocities were alien to the country until the advent of GSM in 2001. Balogun explained that calls from hidden numbers were dangerous and capable of undermining security in the nation, adding that such exercise could make nonsense of the recent registration of GSM lines.